Jimmie Johnson has described the experience of driving a Formula 1 car as ‘mind blowing’ after sampling a 2013-spec McLaren MP4-28. 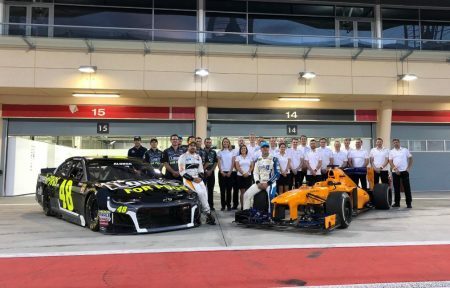 The opportunity came as part of a car swap with Fernando Alonso in Bahrain, which saw the two-time F1 champ climb aboard Johnson’s Chevrolet Camaro NASCAR. 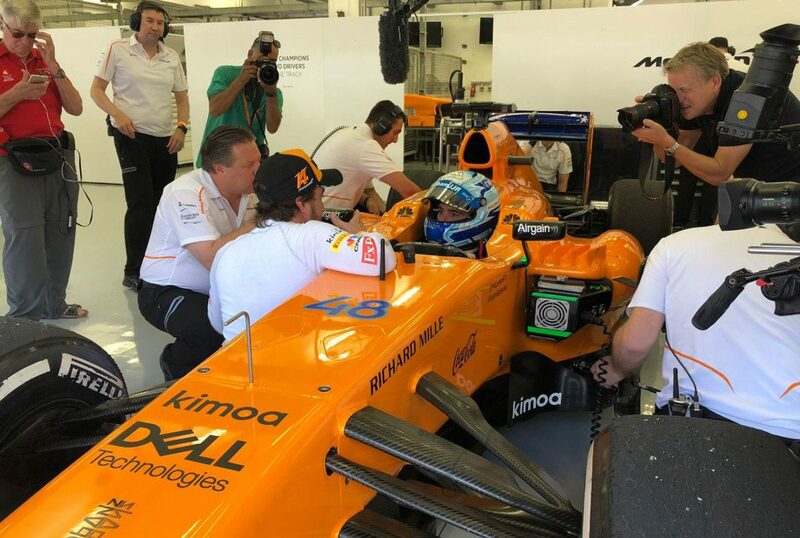 Having laid down a benchmark time, both drivers climbed aboard the foreign machinery, with Johnson getting within two tenths of the 1:40.204s lap set by Alonso. In the NASCAR the Spaniard set a 2:10.830s lap, more than three seconds faster than the initial lap set by Johnson. The experience left the pair impressed by both the experience and each other’s performances. “It was mind blowing,” Johnson said. “The simulator was a really nice experience, a great visual aid, but to have the wind moving by and the sensation of speed and the G-forces, it takes a little while to absorb that and have the newness of that go away and focus on what you’re doing. Though he lapped faster than Johnson did in the NASCAR, Alonso believes he was still some way off the ultimate pace. “I think I was very far away from a very good lap,” he said. “Driving style, it was still not very clear to me what is the best way to perform a lap. “I found a lot of problem on braking; the car has very poor retardation because of the weight of the car and the steel brakes behave very differently compared to the ones I am used to. 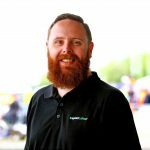 “And traction, these tyres with the amount of power that those cars have, it is very difficult to manage so in first gear, second gear, third gear you are still spinning the tyres, and I didn’t know if it was better to go full throttle and spin the tyres and really move forward or control with the throttle and maybe lose a little bit of performance on exit. Both Alonso and Johnson used multiple sets of tyres throughout the day, which culminated in a short filming session followed by synchronised burnouts from the duo. Even still, the competitive juices, flowed leaving Johnson to admit he was comparing his data with Alonso’s to improve his lap times. “I didn’t know how close I would get — the racer in me was of course focused on that and I was straight away asking: ‘What was his lap time? Can I look at the data and try and piece that together?’” said Johnson. “He had that same opportunity in my car to look at that data and go after it. “I honestly think at the end of the day I got a way better swap experience than he did. For Alonso, the experience was about having fun after competing in his final grand prix on the weekend. “He had fun. He took the test very seriously, as I did,” said Alonso. “Probably I was a little bit busier in the last two to three weeks and especially the weekend in Abu Dhabi, but I think both came here with the intention of having fun, yes, swapping the cars, yes, but not a normal swap like we saw in other occasions when it was swapping cars, doing a photograph and have one run and that was it.